Jekyll & Hyde: A Parenting Tale | WWAM Bam! 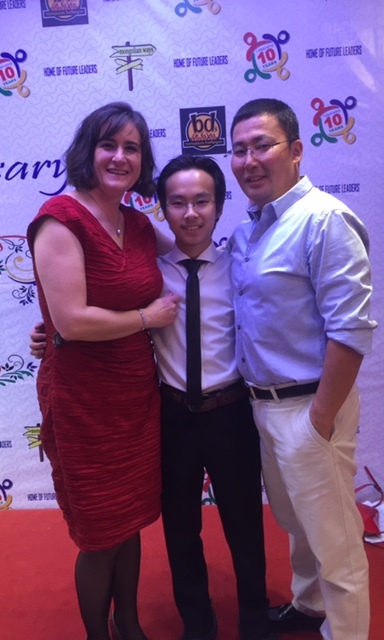 Picture this: An American Woman and her Mongolian Husband attend parent-teacher conferences for their 16 year old son. His biological son, hers by marriage. He is in the 10th grade at an international school in Ulaanbaatar where the woman works. Previously the teen had attended a traditional Russian school. The couple meets with four teachers; one for each of his four classes. The reports are similar: while he has excellent behavior and is always respectful and kind, the student is lazy or unmotivated, he’s sleepy, distracted, or off-task in class, and he often turns work in late or “forgets” to do it at all. After the meeting the wife stays to complete her work day while the husband goes home where he yells at and then “beats” (spanks) the 16 year old. The woman was afraid it would happen. She told her husband NOT to do it. And it happened anyway. This is a true tale of what happened this past November. I was furious. Not because I’m against spanking, in principle. My parents spanked me when I was young. It was a deterrent for bad behaviors or choices. My mother slapped me across the face (only once!) when I was 13 or 14 for swearing at my sister. I thank her for the swift punishment. The shock and embarrassment (it happened in front of siblings) impacted me far more than the physical sting on the cheek! No, I’m not against corporal punishment as a general idea. But I do not believe a 16 year old with poor study/school habits (aka learned habits) will be positively motivated by yelling and spanking. First of all, corporal punishment loses it’s impact on an older child. Shoot, I remember being nine years old and deciding that it WOULD NOT HURT when dad spanked me. And therefore, it didn’t. I didn’t cry. I walked in and out of that room smirking in triumph. I was never spanked again. Secondly, screaming and beating do nothing to teach a child about what SHOULD be done. The punishment is completely unrelated to the behavior that needs modifying. And in this case, I’d argue that his poor behavior impacts only himself, and his future. They don’t impact my job or payment or my well being. I would argue that Dad’s poor reaction is somewhat motivated by his embarrassment or shame at his son for not representing the family in a positive or honorable light. For an only child (our son), there are no siblings to be embarrassed or ashamed in front of when spanking occurs. What I have described here is, unfortunately, the common way to discipline children in Mongolia. It’s anchored in a belief that fear and being strict or hard with a child will motivate him or her to do better. There is less knowledge or education arount teaching, mentoring, coaching, or modeling that which we want our child to do. Parents yell, beat, and then it’s done and forgotten. Until the next time. When I got home and heard what happened, I made an appeal. I objected and said, please, let’s try it MY WAY. No more beating/spanking! I know that for teenagers it’s all about privileges, freedoms, access, and things. For our son, this means technology. His PlayStation. An iPhone. Now a Chromebook. Also, no friend sleepovers unless grades are at a certain level. These are all privileges to be earned. And the things our son considers desirable. My husband agreed to try it. Celebrating our school’s 10th Anniversary. Being an interracial, intercultural, and blended family can have many challenges. (I’d argue being blended is the toughest component!) Thankfully, my stepson has accepted me completely. He sees and treats me as his mother. The end. We’ve never had those “you’re not my real mom” outbursts. I am honored and respected and cared for by him. And I, in return, love and admire and appreciate the man he is becoming. I value the responsibility that comes with being his mom. Therefore, the struggle in my particular case has NOT been the bonding of mother and child. It has been in the clashing of two adults who have different beliefs and expectations about what parenting looks like. Or rather, what GOOD parenting looks like. It can be difficult in that my husband has been a parent for 16 years; I have been a stepparent for two, and only one actively. But I’d argue that because of my work in education and with teenagers for the past twelve years, and as someone raised by what I feel were/are excellent parents!, I feel better “trained” for the role. My husband and I have had numerous arguments around the topic. They usually end with my husband saying something like: “I am Mongol, I don’t parent like an American! He is Mongol kid; he should know me as his father, should respect me.” To which I reply that having the same nationality has nothing to do with how we mentor young people to change their behaviors or habits. Also, how the student does in classes has little to do with the respect he does or does not have for his parents. I also remind my husband that this family is now HALF American or Western and if/when we move to the U.S. that our son will need to be prepared for that culture, lifestyle, and educational system. Perhaps more frustrating than the Mongolian versus American parenting style is the disinterest my husband has about his son’s schooling. My husband speaks about the “importance of Education” and how modern-day Mongolia is lacking good (aka “strict”) teachers. In my husband’s eyes it was better “during socialism period.” But I feel there is a major disconnect between how he views Education, and how he participates in the education of his child. I ask our son about his school work, about his teachers, what his assignments are. I ask him what is hard and what is easy. I answer questions and encourage him. I celebrate when he succeeds and does well; I take away his PlayStation when grades drop below the acceptable threshold (70%). Granted, our son is taking all classes in English and as the native speaker I’m the obvious “tutor.” However, I find my husband’s disinterest offensive. When I try to talk with him about what I think he, as a dad, should or could be doing to motivate, support, and encourage his son, the response is: “This is not my deal. This is his life. His decision.” It’s a completely hands-off mentality. 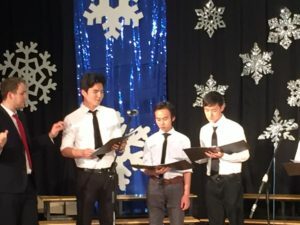 Our son sings in the school’s A Capella Group. And it makes me see RED! I understand that our son is becoming a young adult, that he wants and desires independence and freedom. I know he can be responsible. However, he is not ready for adulthood. He needs to be shown what good work ethic looks like. He needs to learn about self discipline and time management. He needs support as he adapts to this Western education (it is NOT at all like a Mongolian or Russian school–I’ll discuss that in another post). He needs to be celebrated when his hard work pays off. A kind word of praise or recognition goes far in this modern world where we are quick to criticize or degrade. He needs to know when he is doing well, and to see where he’s getting off track. But it all comes from me, the Western parent. And so I’ve found myself apologizing to our son for having to live with Jekyll and Hyde parents. I refuse to adopt the Mongolian parenting style; my husband refuses to become American/Western in his parenting (though I can’t help but hope that he’ll come to see that my way has improved results). I attended the second semester parent-teacher conferences last week. My husband is in the countryside and therefore absent. I’m happy to report that assimilation into the new school and education style is happening. Our son is doing better. Most weekends he has earned the privilege of his PlayStation. He’s doing his homework (mostly) on time. There is more progress to be made, but the shift is happening. So while I hate that my husband can’t see how adopting a different parenting approach would benefit our son (and I’d argue my husband AND their relationship with one another), I am coming to accept that having a Jekyll parent and a Hyde parent, while not ideal, is far better than having two Hydes in the house. This just in–Article in the May 1st edition of the UB Post. Disclaimer: I know that parenting in Mongolia is shifting and changing in reaction to influences from the West (note above picture about the focus on positive discipline). I do NOT claim that everything about Western parenting is what is best for kids (e.g. helicopter parents, over-scheduled children, etc). I speak only of my own family and experiences. Therefore, it would be great to hear from other blended families about how you parent children with conflicting philosophies or beliefs. Please share your thoughts with us in the Comment section below. Spanking, hitting a child is never okay. This is a excellent, thought provoking essay, but I am concerned about the violation of your son’s privacy. Or is there a different perception of privacy in Mongolia? 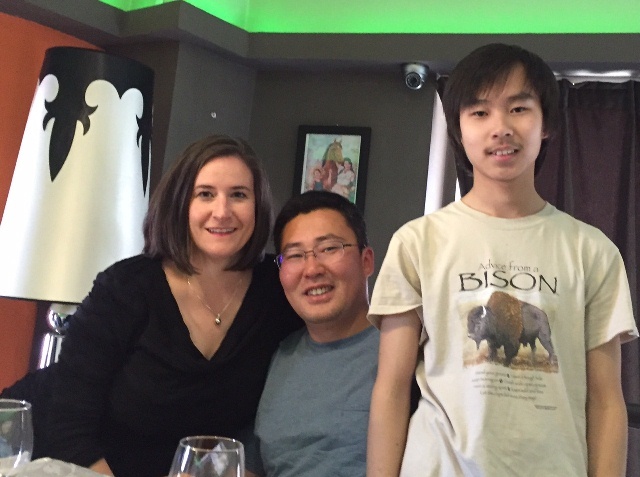 I would be very interested in your thoughts regarding your son’s privacy, and any cultural perceptions of privacy in Mongolia. Hello Susan. Thank you for your comment and your concern. My son knows about this post. We discuss often the differences/similarities between Mongolia and the U.S., as well as comparing and contrasting his childhood/youth with mine. As for my observations about how privacy is viewed or approached by Mongolians, I’d say it’s an interesting pie of contradiction. Example: Many Mongolians (older generation) are very private and even misleading in their Facebook profiles; however, everyone knows everyone on the streets and in conversation. As they say, UB is a very small city! I thought that was a joke at first (1.4 Million), but have come to see where it’s true. Mongolians are quick to talk about family–marriage and kids and home life, while work life is deemed more private and off limits in conversations. In my observations, teens have FAR less oversight here. I don’t hear about many parents monitoring their children’s online lives. I talk with my son often about social media and the online world (discerning what’s true and what’s not!). I also put parameters on his screen time so he can get solid sleep. However, as an educator, I receive emails from students that are sent at 11 PM, 12 AM, even 1 or 2 AM. And I’ve noted that many children here are on Facebook well before the age of 13. Great read, as always! They are both so lucky to have you. I look forward to your future post on the Russian/Mongolian schools. Thanks, Vanya. I should have mentioned that corporal punishment is yet deemed admissable in *some* traditional Russian or Mongolian schools. I remember being in first and second grade in Northern Michigan and hearing about the principal spanking older students with a paddle (with holes in it no doubt!!). I know that practice has gone by the wayside in the U.S., as it should have. I’m sure it will here as well. As with many things, I feel that Mongolia is 10-30 years behind the U.S.. I imagine that’s the result of being under Russian influence until 1990. I must agree with an earlier commenter that I’m concerned as well for the privacy of your son. You informed the world that your husband ‘beats’ (spanks) your son, and that you informed your son that you were posting that fact on the Internet. I’m assuming he was ok with it somehow, and you posted it. But was it informed consent? As an educator, I’m sure you know that anyone under 18 is considered a child, and someone who is 16 has a prefrontal cortex that is still in development, and consequently, cognitive abilities such as reasoning, abstract thinking, logic and self-consciousness are still developing. More importantly, a typical 16 year old does not know enough about the consequences of giving assent to such a request from you. Getting assent from a 16 year old before posting such information about him on the Internet is immaterial, and the fact that you as an educator did it anyway is troubling. Which leads me to another question: Does your spouse know and approve that you appear to have breached his privacy by letting the whole world know that he ‘beat’ his son? I would ask the same question of your spouse if he wrote the post that you did. I’m not sure I get the Jekyll and Hyde metaphor, but if memory serves, Dr. Jekyll transforms into the evil Mr. Hyde. It appears from your post that your husband has a position on your son’s education/learning, but he appears to be consistent with said position; why the reference to Jekyll and Hyde? Nothing in your post appears to support the case for your husband being Mr. Hyde, who, in the original novel, could be described as having many of the traits of a sociopath. Unless your statement that your spouse’s ‘disinterest’ is so ‘offensive’ to you that he is deserving of that sobriquet. I think it was really brave of Heather to share this post. We need to be able to talk about these issues. For those of us living as minorities in another culture, and especially within a developing country, it can be confusing and confounding to find ourselves in such a situation. Speaking out about it, sharing experiences and allowing others to share their own experience can help us make sense of a difficult situation and try to find a way forward. It also hopefully gives a voice to others going through something similar who are not ready to speak up. For someone interested enough in this issue to read this post, then focus only on attacking the post author for things such as a lack of compassion – how about showing some compassion yourself?! Thank you for taking the time to share your opinions, AlexT. I appreciate your reference to brain development. Research does tell us that the prefrontal cortex isn’t fully developed until we reach the age of 25; and some say not until we are into our 30s. I especially like Steinberg’s acknowledgement in this post about how we allow teens, by law, to drive before watching an R rated film and to serve their country before drinking beer (in America, that is). My Jekyll and Hyde analogy, as you point out, is weak. I only meant to draw attention to how drastically different my husband and I try to motivate our son towards academic success. I was raised by parents who were on the same page regarding discipline (even during and after divorce). It didn’t matter what rules I broke, my consequences were the same no matter which household I was in at the time. It is my hope that my husband can see what brings success—or rather progress—in this case, and to let go of the traditional way of disciplining a child. While there is a law in this country against corporal punishment of children, people are still in the process of making the change. Shoot—in the U.S., it’s still legal to do in schools in 19 states. I’ve heard many accounts about corporal punishment happening in Mongolian homes, as well as in Mongolian schools. This makes me sad, of course. But I’m happy to see that times are changing. One example is the news article I referenced in this post about measures being taken to draw attention to positive discipline strategies, while another one would be this recent law passed in regard to domestic violence, a different, but connected, topic.